The occupying SL Navy harassed 25 Tamil protesters who had mobilised to wage a peaceful protest against the seizure of their lands at Ma’ndai-theevu, an islet off Jaffna, by photographing and recording them. However, the protesters successfully blocked the survey officials for the second time in two years. After the last attempt in June 2018, on Thursday the SL Survey Department tried again to measure the eighteen acres of residential and agricultural lands belonging to eleven families. The lands in question are already fenced off within the premises of SLNS Welusumana naval base and are declared as a no-go zone by the SL Navy, which wants to militarise them permanently. 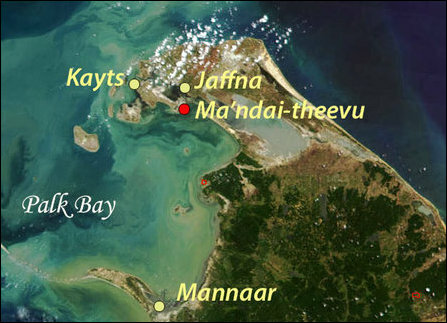 Ma’ndai-theevu, an islet located at a strategic locality towards the entrance from the Palk Bay into the Jaffna lagoon, needs to be subjected to excavations for alleged mass graves, say Tamil rights activists in Jaffna. Around 9 a.m. on Thursday, the protesters blocked the convoy of surveying officials in front of the Amman temple in Ma’ndai-theevu East. The eighteen acres, one rood and ten perches lands fall under the village (GS) areas of Veala'nai East (J/07) and Veala'nai West (J/08) within the Veala'nai Divisional Secretariat of the Jaffna District. The islet was occupied by the SL Army, which used Tamils as human shields between August and September 1990 when it attempted to link up with the LTTE-besieged Jaffna Fort. 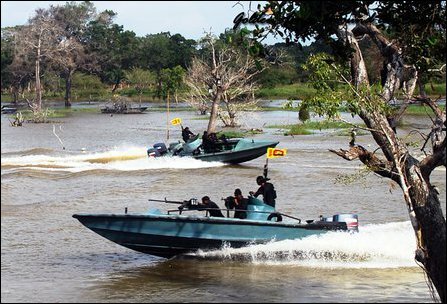 SL Navy and the EPDP paramilitary joined the SLA positions at Ma'ndai-theevu after the Tigers seized the Jaffna Fort. The occupying SL Navy took exclusive command of the islet in May 1998 and established a naval base named SLNS Welusumana in December 1998. After the end of the genocidal war in 2009, the SL Navy continued its plan of expanding its base and shifted the base to a new locality within the islet in January 2012. The SLNS Welusumana is a big naval cantonment with 14 SLN officers, 44 senior sailors and 384 junior sailors. It is led by Capt SJ Kumara (NRX 0826) who assumed command on 19 February 2018, and is pushing for the permanent militarisation of Ma'ndai-theevu, informed EPDP sources told TamilNet. However, the Tamil land-owners are firm in demanding to have their lands back. Last year, when Justice C.V. Wigneswaran was the chief minister of the Northern Provincial Council, he addressed the concerns of the landowners stating that the lands of private owners should not be seized without his permission, says former NPC Councillor Vinthan Kanagaratnam, who took part in the protest on Thursday, along with other Tamil politicians. Now that the elected NPC's term has expired, the SL Government is proceeding with its plans, Vinthan further said. He blamed the hierarchy of his party and the TNA for not being firm in blocking the militarisation of Ma'ndai-theevu. 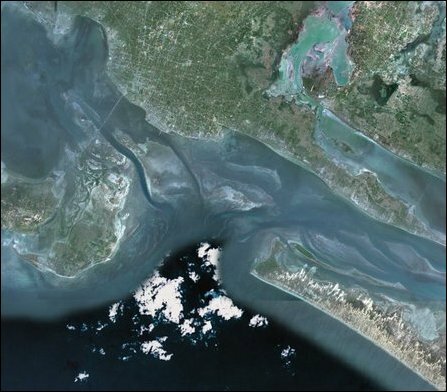 “The land they are trying to seize permanently is the heart of the islet. If that is gone, the entire islet is gone”, Kanagaratnam told TamilNet. Furthermore, it is also the area with potable water wells and fertile lands, he added. The SL military had dumped several Tamil civilians in Ma'ndai-theevu, including youth it had massacred in execution style between August and September 1990 when it launched a rescue operation through Ma'ndai-theevu to free the Sinhala soldiers in the Dutch Fort of Jaffna, which was besieged by the Tigers at that time. While Vinthan Kanagratnam puts the number of massacred civilians at 300, S. Shritharan MP of ITAK (TNA) went on record claiming that the occupying military had slaughtered 1,500 Tamils in the islet. The SL military that advanced through the islets had captured the Tamils who did not manage to flee, and used them as human-shields bringing everyone it caught on its way to Ma'ndai-theevu islet. This was their SL military’s last position. Once the Sinhala soldiers in the LTTE-besieged Jaffna Fort managed to escape to Ma'ndai-theevu, the remaining human shields were massacred and dumped into the wells in the islet.